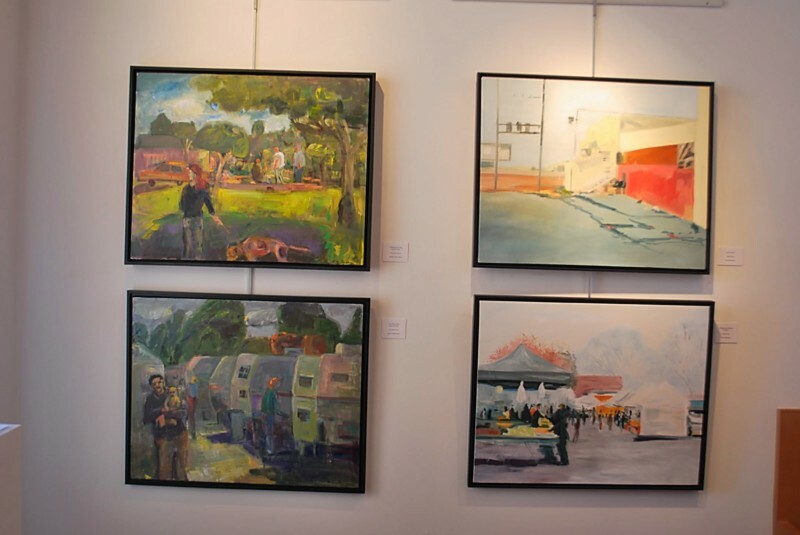 The Immigrant Neighborhoods show is currently on at the San Pablo City Gallery, with a great selection of work by 4 colleagues and myself. 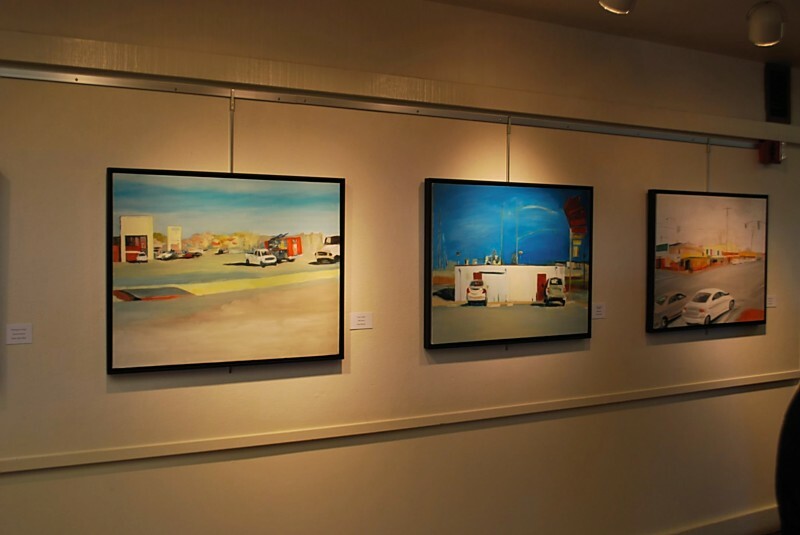 These three paintings are all oil on canvas and 24 x 30″. From the left is “Taco truck”, “Giant Burger Parking”, and “Rumrill Corner”. This is called “The tracks” and is from the same corner, but looking down Market towards Annie’s Annuals. Again it is 24 x 30″ and oil on canvas. 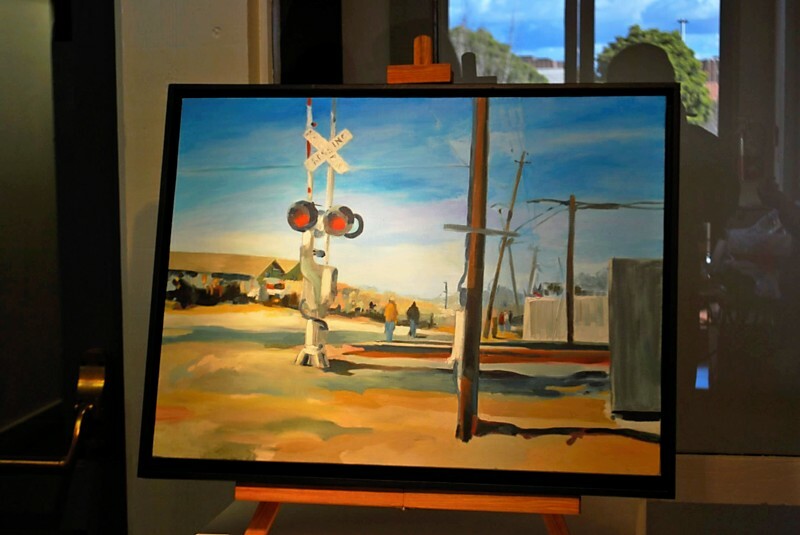 Two smaller paintings up on the higher mezzanine level are both 16 x 24″ and oil on canvas. 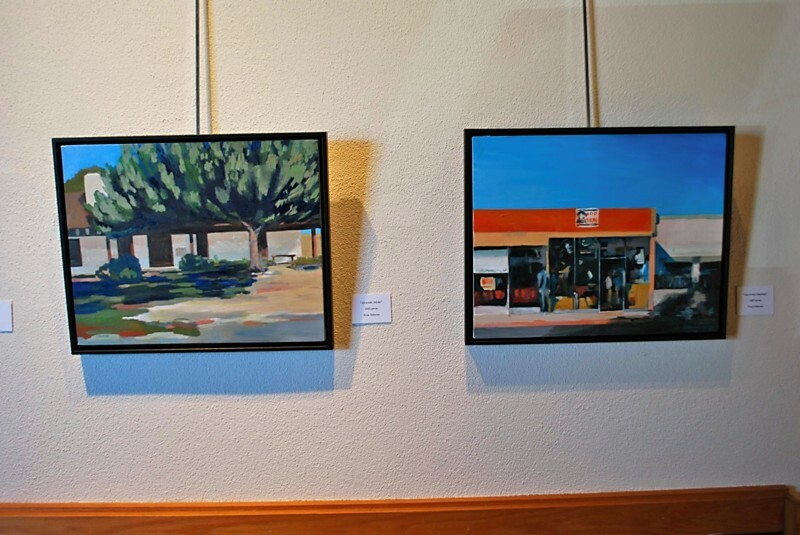 On the left is a painting of the Alvarado Adobe and “San Pedro Opening”. Two of my pieces are top and bottom right and both are 24 x 30″ oil on canvas. The one above is called “The stairs” and that below is of the Richmond Farmer’s Market. This entry was posted in Art Journal. Bookmark the permalink.